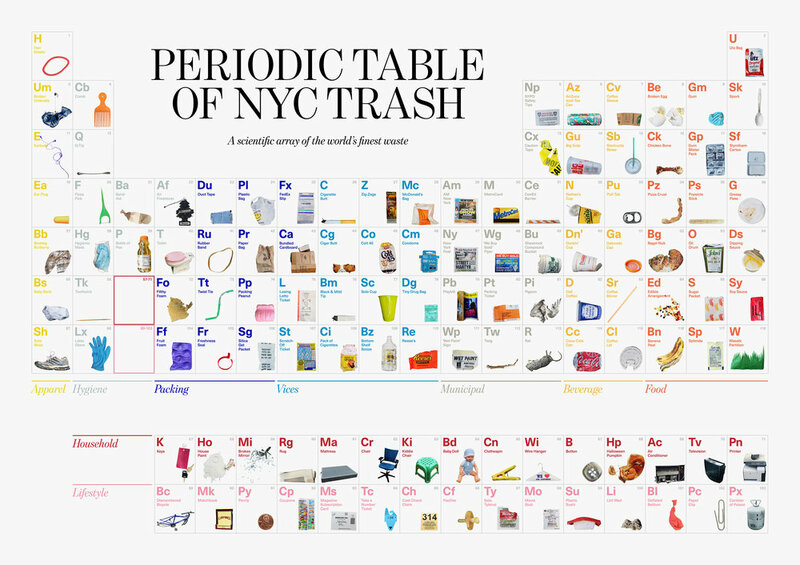 A tabular array of New York City trash. Includes 118 naturally-occurring elements in nine groups: Apparel, Beverage, Food, Hygiene, Household, Lifestyle, Municipal, Packing, and Vices. 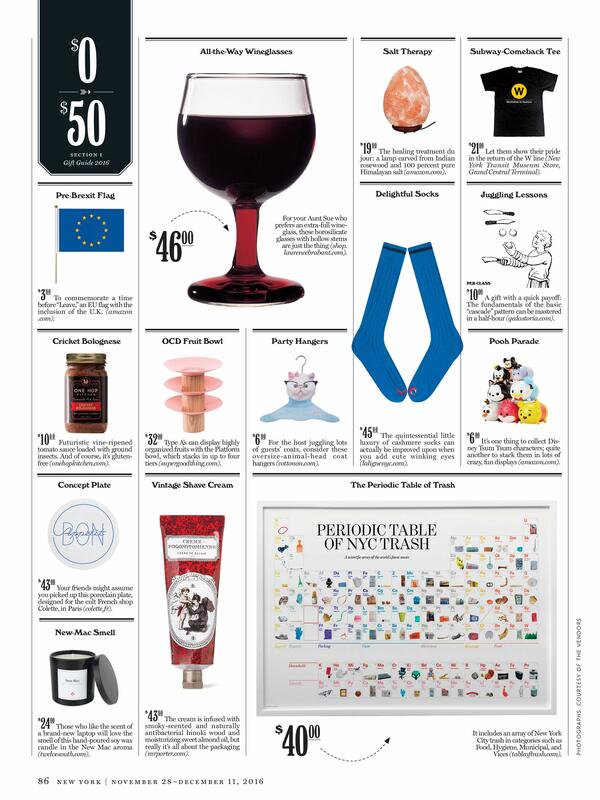 The Table of NYC Trash was included in New York Magazine's 2016 Holiday Gift Guide!